Participation House, Markham was fortunate to be chosen as one of three charities to receive funding from the Scotiabank Charity Golf Tournament. 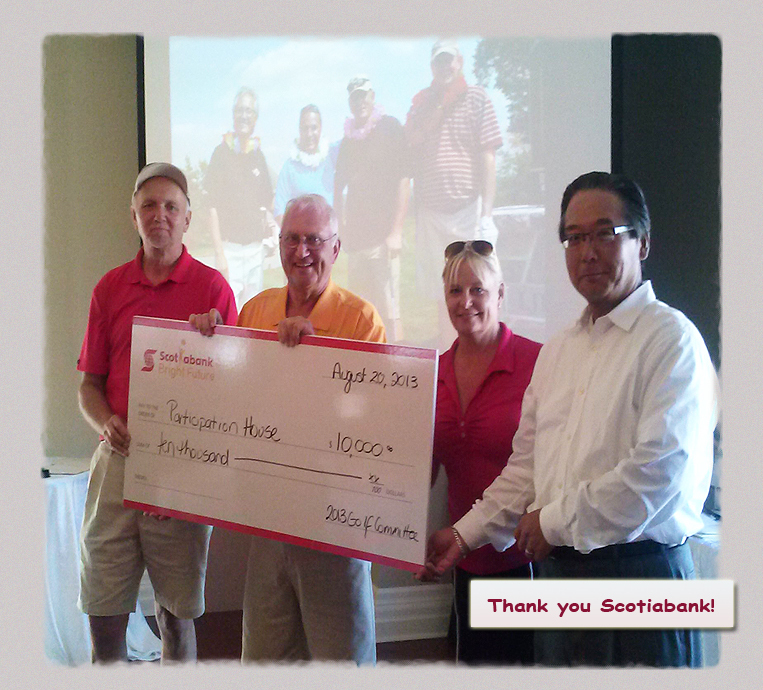 This year’s tournament was held on Tuesday August 20, 2013 at the Wooden Sticks Golf Golf Club in Uxbridge. Pictured here from the left are Enno Kaasik, Retail Branch Manager at Markham Scotiabank with Phil Garment, Chair of the Board of Directors, Participation House, Markham and two associates from Scotiabank. We truly appreciate the funds and will use them to help improve the lives of our residents.